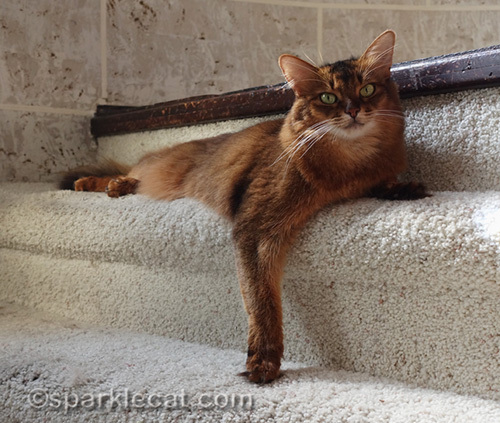 You are here: Home / Kitty Wisdom / The Blog Ideas Generator for Cats… Revisited, and Poll! 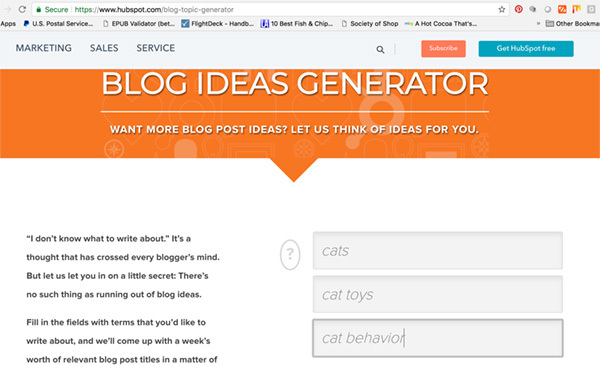 The Blog Ideas Generator for Cats… Revisited, and Poll! A few months before Sparkle passed away, she did a blog post about a tool called “The Blog Topic Generator” from Hubspot. You just put in some interesting words, and the tool would spit out blog topics (although some of them were kind of strange). I ran across the post in the archives, and sure enough, the tool still existed, only now it was called a Blog Ideas Generator. I thought I would give it a try myself. The first word I used was Cats, of course, plus a couple of phrases I thought would make good ideas for a blog post. Funny enough, I got a repeat on one of the weirder topics: 7 Things About Cats Your Boss Wants You to Know. But some of these ideas aren’t bad, so I’ll tell you what: I’ve set up a poll, and you tell me which idea is your favorite. The poll ends at midnight Pacific Time July 31. 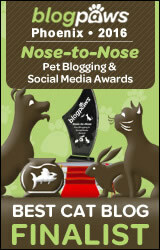 I’ll take a look at it and see which idea got the most votes, and do a blog post on it! Even if it’s one of the sillier ones. Sound like fun? I think so! You made my human laugh Sparkle! Last week her boss asked her what she should know about cats…. And yesterday the HR lady in the next office asked her what she needed to know about cats as they had just moved and a neighborhood kitty has been “visiting” them! So maybe its not so strange after all…. We are going to go and have a look at the generator…I wonder if it has some good/bad joke ideas…. Those are interesting topics for a blog post, but I would have thought there were more than 14 misconceptions about cats. There were several good topics to choose from so the poll was tough but we chose just one – any of them will be fun to read though! I wonder if it does the same thing with Mojitos, or bagels??? Looks like you have a tie! You’ve actually posted about at least three of those topics already. We bet you’ve already covered most of those topics, Summer. You always have very interesting things to say! We want to read all! 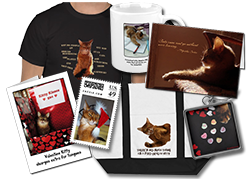 Summer has a look in her eyes–or is it her demeanor–that you don’t see often in cats. It has intrigued me ever since I met her and continue to be intrigued as I follow your blog and facebook posts. My Lily-tabby just have picked up on this because I swear that a couple of time in the last few days she gave me a stare exactly like Summer’s. What a treat. So far I haven’t been able to capture it in my camera. That link could be fun. We might have to “help” our Mom with it to see if we can get interesting results, too. This was a tough choice! Summer I love your right hangover….oh wow something to give mom some new fresh ideas. As if there is a cheat sheet small enough to explain cat behavior, Summer! HA! But, the idea of explaining cats to my boss (or any person) in a short, concise manner would be something I’d want to know! We chose the boss one because we wanna see what you have to say about that, Summer. Mom said we are typical ladies from the South so we never shut up, and we never find it hard to say something…especially about me! That’s an interesting tool and I did vote too! These are good titles. What I’ve not seen is anything about boss cats.